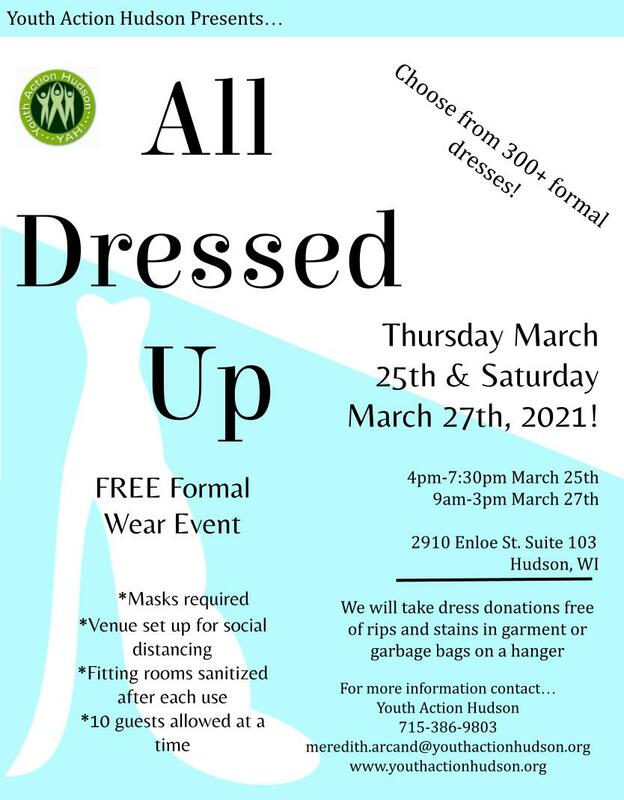 Youth Action Hudson is hosting its annual All Dressed Up event, which is a free formal wear open house. Choose from 500+ formal dresses! Select shoes and accessories available! For more information contact Youth Action Hudson..
We are continuously accepting donations for the All Dressed Up event. You can also leave donations in the donation box outside of our office.